Sameera is a Social Science graduate and also completed a Postgraduate Certificate in Research - Health & Social Care. She has been part of the Born in Bradford Project since February 2006. She started by recruiting 13500 expectant mums into the project. Sameera then worked as a Project Recruitment Coordinator for the baseline study and managed study administrators and she subsequently was responsible for the screening and recruitment for the HAPPY (Healthy and Active Parenting Programme for early Years) study. 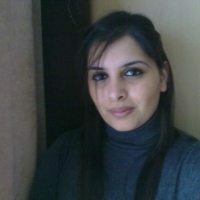 Sameera has been involved in several sub-studies and most recently taken up her post as a School & Community Research Coordinator which involves recruiting primary schools to measure physical co-ordination, cognitive and wellbeing assessments, undertaken with children aged 6 to 9 years of age and managing a team of University of Leeds interns for Primary School Years Project. Working with the families/children and seeing them grow with the study.